Custom for your skin, if dry we will hydrate, if oily and clogged we will unclog, its off to changing the skin with professional ingredients that work! 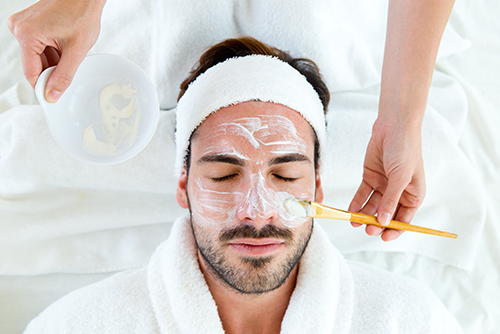 Extractions will be performed, and mask specialized for your skin type, this facial will keep your skin in top shape. NEEDLE FREE FACE WRINKLE FILLER! Korean Mask to fill wrinkled area with poly-L to the areas with deep wrinkles. The latest KOREAN technology in plumping wrinkles! Must stop all exfoliation and retinols 3 days before treatment. No makeup, washing, or sweating for 12 hours after treatment. The focus will be addressing mild to severe acne with extractions. High Freqency maybe used. Education and at home care is key to healing. I have professional products that target acne to get fast results. Years of acne training will kick start your healing. 75min is best for severe! Strengthens muscles, firms skin, increases collagen and elastin production by 45%. Peptides and Serums will be applied to give the BEST results! A WOW FACIAL!!! 75 minutes facial with extractions. 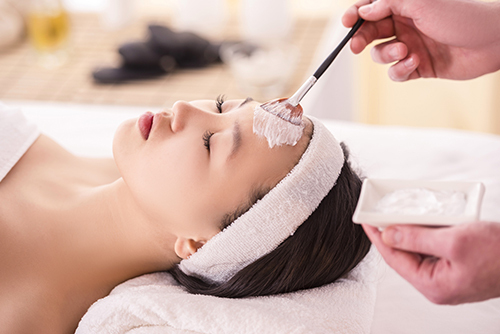 Starting with exfoliation Stainless Steel Blade, (DermaPlanning) Dermaplaning is a method of exfoliation that consists of using a scalpel to gently scrape off the top layer of dulling dead skin cells in order to reveal a smoother, brighter complexion. “ Then the mask used is clinically proven to repair barrier, increase hydration, reduce redness and plump fine lines.! The back needs attention too! Because the back is a hard to reach area on our body, the dead skin and oil will often cause tiny bumps or even pimples. I will use the ultrasonic tool with sonic vibrations to unclog pores. Extractions are done with ease after steam and a BHA mask. Chemical peels also an option. Teen facials are so important, getting a early start on skin care will lead to years of healthy skin. Extractions after a long session of steam and hydrating products to help ease the discomfort . High Freqency and LED may be used. Education and at home care is key for teens. I have professional products that keep skin clean. FACIAL w/ WET OR DRY microdermabraison! One of a kind stem cell technology with Stem Cell extract and soluble collagen, 94% native match to own skins collagen. biomimetic delivery systems for deep saturation, peptide & anti-oxidant serums. Polysaccharides from carob seeds accelerate the recovery of damaged skin a. Leaving skin vibrant and youthful!! Great for ALL skin types! A peel that is formulated for all skin types. Leaves your skin soft and supple. Little to no downtime. All customers will start with a level 1 and work your way to deeper levels. 3 days before appt stop any Retinols or acne creams. New customers will get a consultation before time of appointment. LIFTS, TIGHTENS & FIRMS SKIN!!! Improves texture, elastin, plumps skin!!! Aloe gel contains Collagen and Gold that improves health of skin!